New 60-PPM Ricoh Printer | Industry Analysts, Inc.
RICOH USA, Inc. is pleased to introduce the new SP 8400DN A3 B/W Laser Printer. 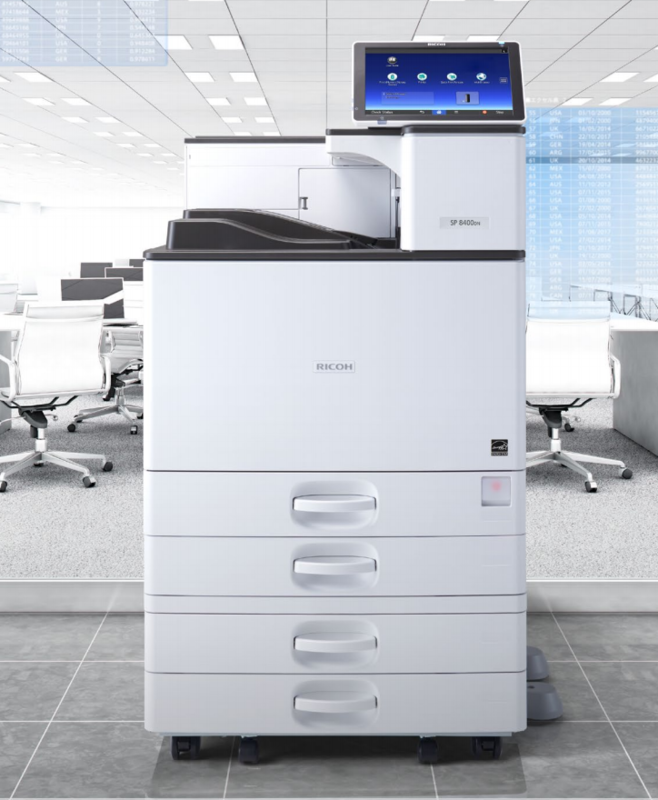 At 60-ppm the new SP 8400DN provides increased productivity and improved usability replacing the 50-ppm SP 8300DN in Ricoh’s A3 B/W printer lineup. The SP 8400DN shares the same durable print engine and robust feature set as the powerful MP 6055, including the intuitive 10.1” Smart Operation Panel and Workstyle Innovation Technology Platform. Additional features include smart support-related capabilities designed to maximize customer satisfaction and machine uptime, features that build value and competitive differentiation. This model enables customers to implement a mix of devices featuring common operability, ideal for MFP plus Printer fleets. Customers can now upgrade to next-generation technology to support the latest workflows. The SP 8400DN offers tremendous value and exceptional quality to meet daily mission critical printing needs. This entry was posted in Ricoh and tagged ricoh, SP 8400DN by andyslawetsky. Bookmark the permalink.